Northwire Inc., Osceola, Wis., will be seen in the Manufacturing Marvels spotlight that airs during The Lou Dobb’s Tonight show on the Fox Business Network (FBN) tonight between 9:30 and 9:45 pm (Central time). Manufacturing Marvels produces a series of educational and promotional videos featuring North American manufacturing companies that provide products and services to a number of different industries. Northwire application and design engineers work closely with customers on their new product development projects to help design custom cable solutions specific to their end application needs. The February 6th Manufacturing Marvels segment will feature various steps in the custom cable manufacturing process from inner conductor extrusion, cabling, braiding, jacketing, retractiles, and testing. “We are proud to be a leading cable manufacturer featured on Manufacturing Marvels on the Fox Business Network (FBN). 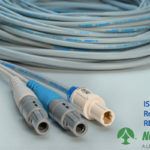 Our dedicated employees work hard to design, manufacture, and test our custom cable to ensure performance and safety standards will meet our customer’s expectations in their unique products and demanding environments. We look forward to giving our customers and other manufacturers a behind-the-scenes look at the cable manufacturing process,” said Joe Van Landschoot, General Manager. The video segment will also be featured on the www.northwire.com website and social media accounts including LinkedIn and Facebook. Manufacturing Marvels airs on The Fox Business Network at approx. 9:30 pm CST and is produced by award winning producers Bob and Jerry May and directed by award-winning director Bryan McCullough. The 2-minute pods spotlight North American manufacturers, their products, as well as the companies’ processes and customers. Northwire Inc., a LEMO Group Co.